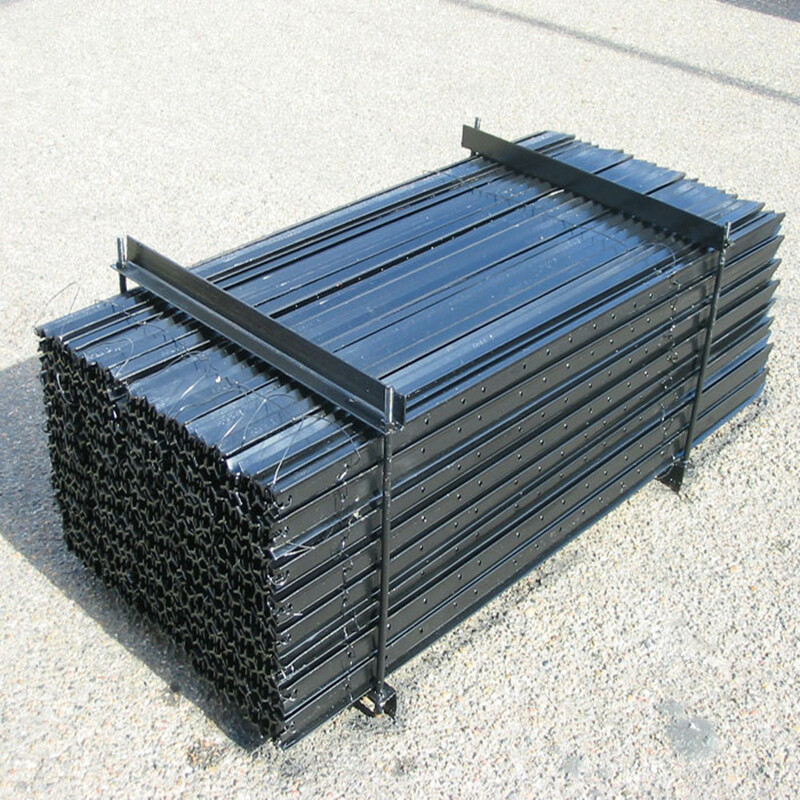 Product categories of Star Pickets, we are specialized manufacturers from China, Star Pickets, Y Star Pickets suppliers/factory, wholesale high-quality products of Black Painted Star Pickets R & D and manufacturing, we have the perfect after-sales service and technical support. Look forward to your cooperation! Star picket is a kind of metal Fence Post, which is made of low carbon steel, or sometimes rail steel. They got their names due to the shape of cross sections including three-pointed star shape and Other various shapes.Along the post, there are numbers of stubs for preventing the fencing wire sliding up and down, or consisting holes for either letting the wire thread through or fixing boards with bolts. Meanwhile the diameters and spacing of holes can be customized. They can be widely used to support various types of wire mesh and fences such as agricultural fencing, temporary fencing, pet fences, etc. Additionally, it can be used to fix plants, support sing boards, thereby, it is multifunctional.